Apple is testing 2K and 4K displays for a 12.9-inch iPad, according to PadNews. 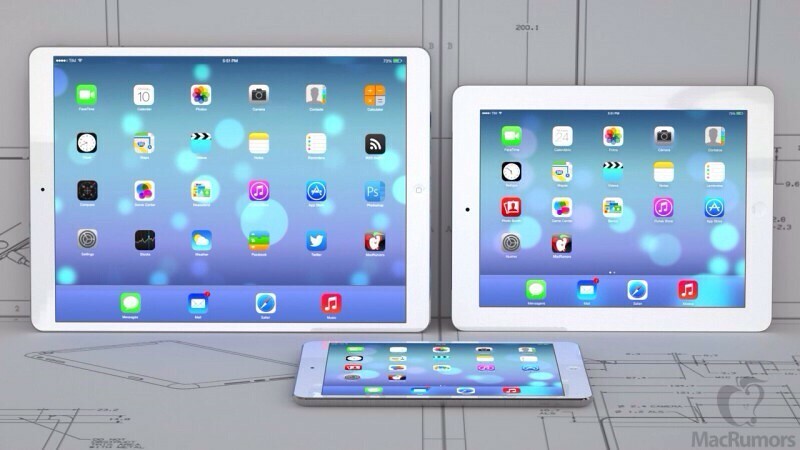 The site claims that Foxconn prepared five different versions of the 12.9-inch iPad for Apple to consider. It's thought that Apple might first launch a 2K model then follow up with a 4K model later. We understand that Foxconn for 12.9 inches of iPad did five different scenarios, and Apple may choose from two options. That Apple may launch two 12.9 inches of iPad. We also reported that the outside world had 12.9 inches iPad 4K resolution will be adopted a confirmation message, the prototype line called the current level of testing is 2K. As for the specific launch date, the line person may be postponed until April next year. That might be the first half of next year Apple introduced two 12.9 inches of iPad. Of course, Apple may be in April next year to launch a first, and then next year in October to re-introduce an upgraded version of the iPad 12.9 inches of 4K resolution version. A recent report from the Korea Times claimed that Retina displays for a 12.9-inch iPad are already in production and that they have nearly UHD resolution.